* - pulse duration down to 85 fs and peak power up to 2 TW upon special request. 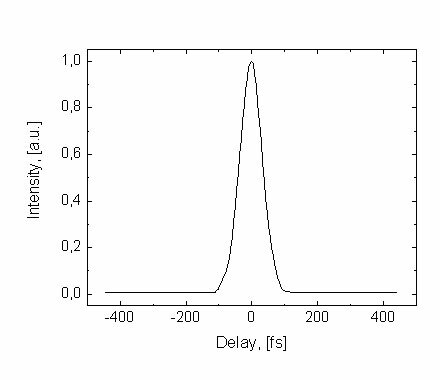 The FREGAT-TW is a terawatt femtosecond chromium-doped forsterite laser system, based on a Cr:F seed oscillator, regenerative amplifier and several stages of multi-pass amplifiers. The system features a control and delay generator unit which may be controlled via PC/USB or used in completely stand-alone manner. 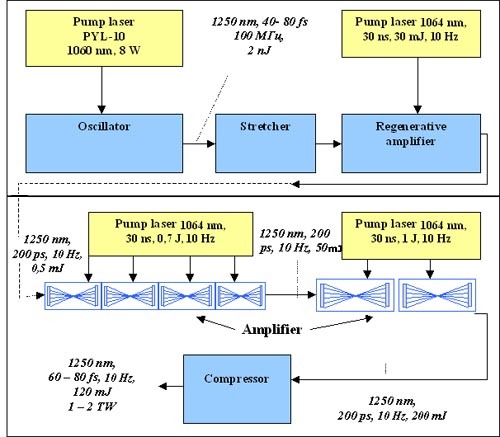 The amplifiers utilize 1064-nm pump lasers without the need for SHG conversion, thus providing better stability and cost efficiency. 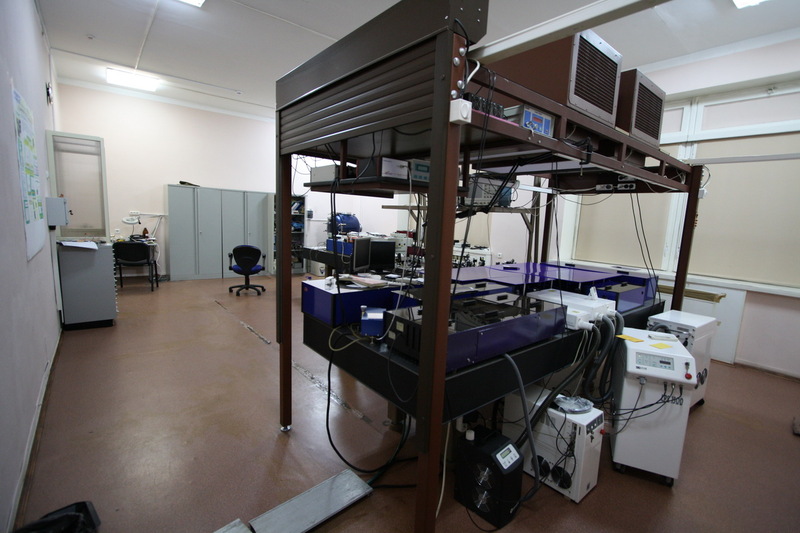 The system operates at 1240 nm wavelength, with pulse peak power of up to 2 TW at 10 Hz (upon special request). The system may be delivered as a complete solution including all required elements, as well as it can be built in several funding stages in order to alleviate the financial burden on the customer. If compared to conventional approaches for ~1250 nm wavelength region, like high-energy OPAs and OPCPAs, the system provides best-in-class pulse energy but still within a narrower budget for a complete solution. 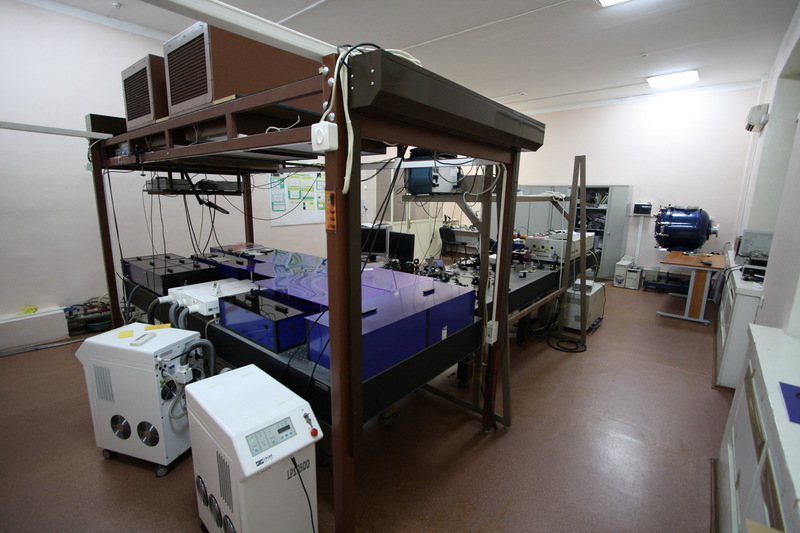 The system may be used in many areas of fundamental research, namely condensed state research and generation of high-energy THz pulses. Novel attosecond generation techniques and approaches can also be studied.